Metre Yacht Restorations provide a complete restoration and refit service for all types of boats and construction. Arlette is a re-build project, currently coming to completion. A fibreglass working boat renovated for the 2016 season. A part re-build of a Spirit of Tradition Pilot Cutter. Metre Yacht Restorations is a small business based in Cornwall who specialise in traditional boatbuilding. Metre Yacht Restorations was started by David Brunyee when he acquired a pair of First Rule International 10 Metre racing yachts which he is currently restoring. 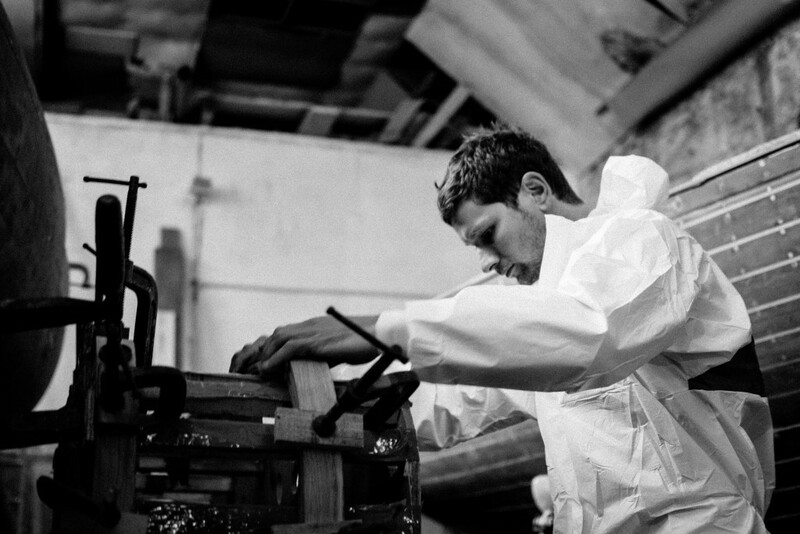 David graduated from the international Boatbuilding Training College in Lowestoft in 2006. He then went on to work for Cockwell’s Modern and Classic Boat Building, and Rustler Yachts between 2006 and 2013. Metre Yacht Restorations had undertaken a number of refit and restoration projects in the local area before acquiring current premises at Islington Wharf in 2014.